The Pink Lady has changed her address. You can get the recipe here. 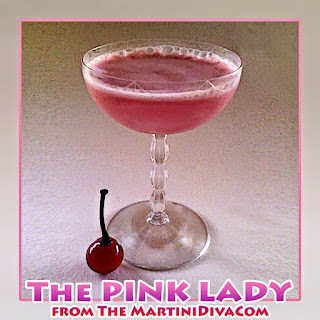 The Pink Lady a classic gin cocktail with egg white. Having received a lot of bad press during the egg/salmonella scare of recent decades, egg cocktails are coming back into their own thanks to the availability of pasteurized and powdered egg products. Though the use of a fresh egg is preferable and safe, according to many food experts, having the alternatives has erased the fear of egg cocktails and they are making a comeback in bars and restaurants. 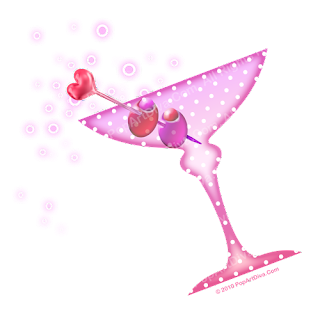 The Grenadine gives this cocktail it's lovely pink color making it the perfect Pink Martini for Pink Week!Throw a Pink Party, Wear Pink, Think Pink - A Pink Party is a great way to support your favorite Breast Cancer Charity.